New Beton Hala waterfront center is a hybrid building of infrastructure, landscape, and architecture. The complexity of urban context requires multifunction. 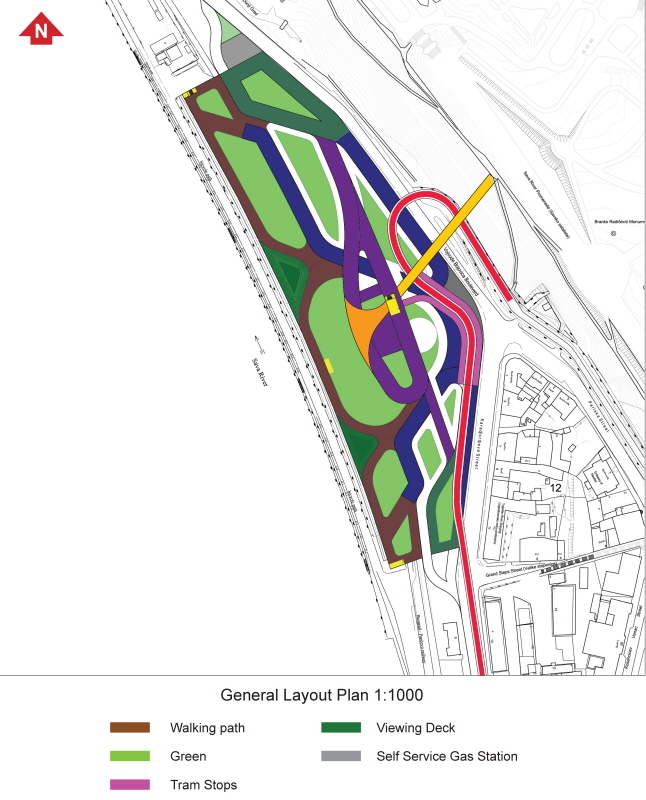 First requirement is it should be a connector between existing Beton Hala and Belgrade Fortress/Kalemegdan Park. Second is it should be low rise pedestrian friendly building. Third is it should be mixture of public indoor space and outdoor space in order to perform various cultural, gastronomic, and entertainment activities. Commercial space is located in parallel with Vojvode Bojovica Boulevard in order to work as a barrier between pedestrian and transportation. 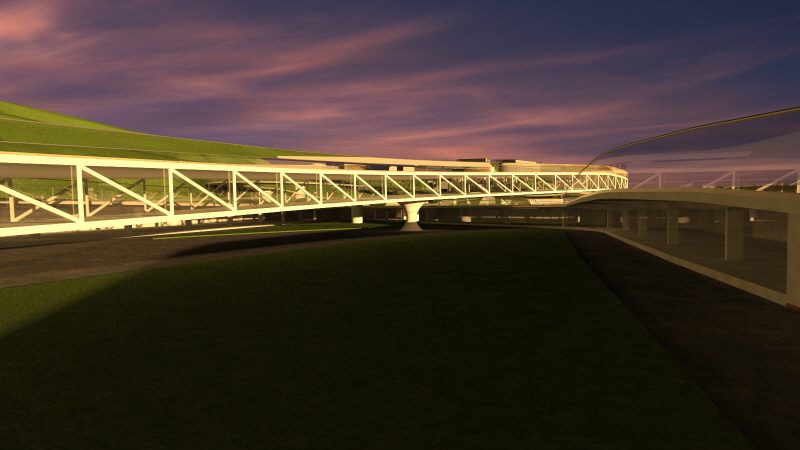 Also, existing tram route is raised up to 6M to give clearance for heavy transportation. 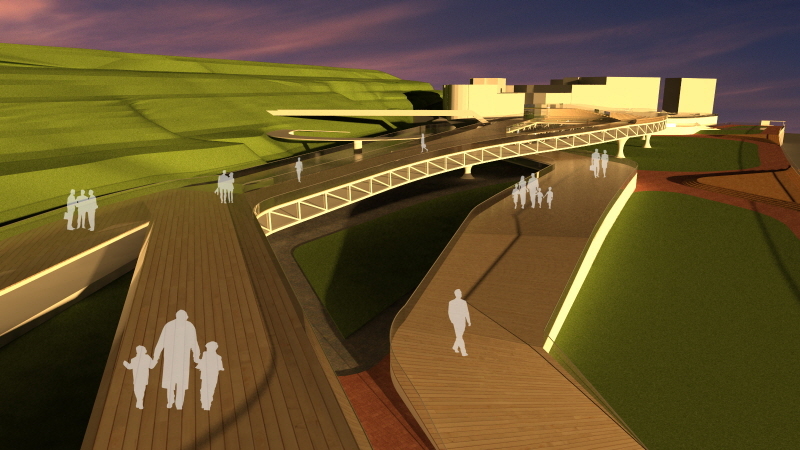 Above tram route, pedestrian bridge is proposed. 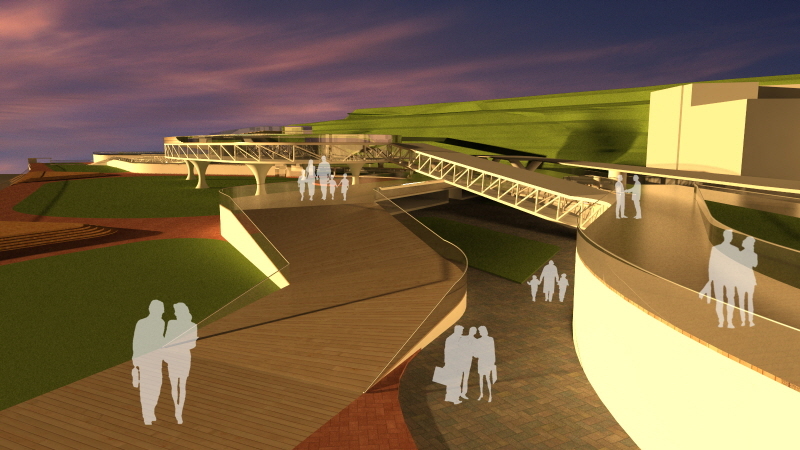 It connects pedestrian way from Belgrade Fortress/Kalemegdan Park to new building. Building is a part of park and roof of it is pedestrian walking path. Commercial space is consists of three parts. 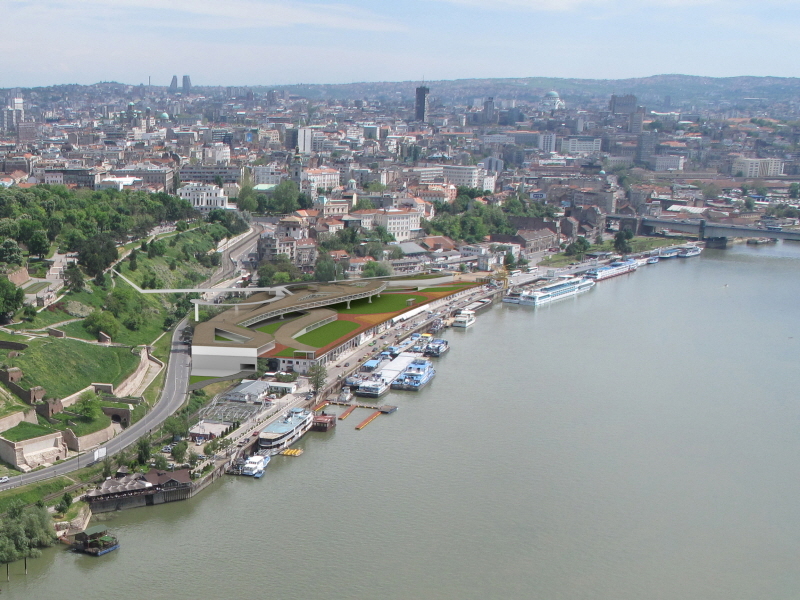 Each part is embracing open spaces and gradually connected to walking path on the roof of existing Beton Hala. Various cultural, gastronomic, and entertainment activities are happened at court yards and people enjoy them at ground level as well as roof level. 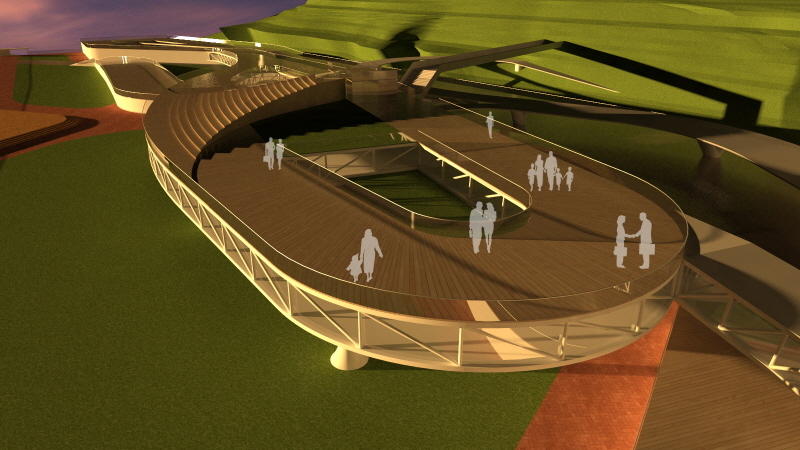 Ramp for bicycle and people from the grand steps is proposed on the south side of the site. 3 new connections (elevators and stairs) are proposes at both ends and middle. Exhibition space is floating above commercial spaces. 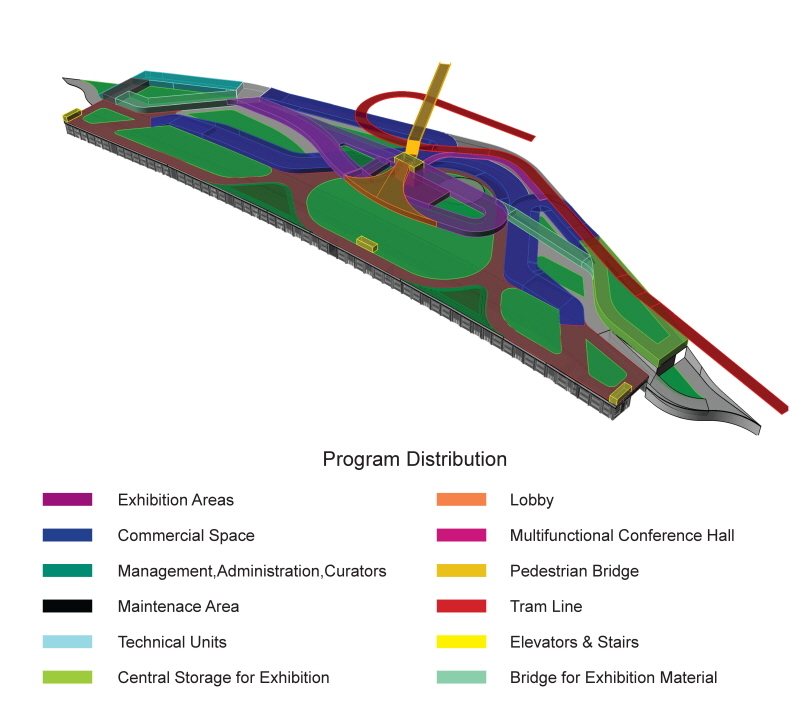 It is continuous fluid space connected to Functional areas (Management and storage) on ground level. On top of lobby space, step like viewing deck is proposed. 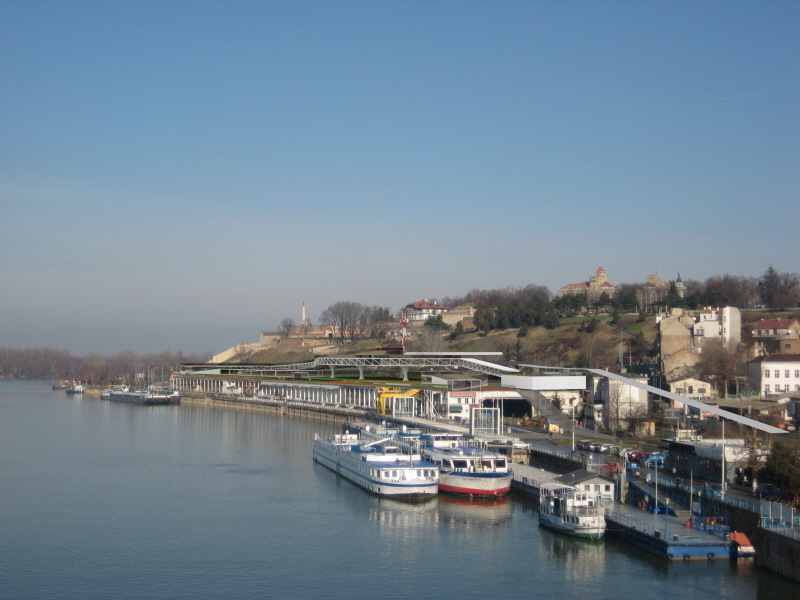 This is a place for siting down and watching a view of Sava River. Bridge like truss structures hold exhibition space with massive columns. Underground Parking is accessible from both Vojvode Bojovica Boulevard and Karadjordjeva Street. which is on the South side of the site, is mainly for Buses. Due to level difference of streets, entrance and exit of the parking is located on underground level2, which is 6M below from ground level. Central elevators and stairs are for public usage and there are staff elevators on the north side of the site. Also, freight elevators are located at technical entrance on underground level2 and storage, maintenance and technical units on ground level.